In 1997 Soundcraft launched the Spirit FX16 which immediately became popular with its 16 direct outputs and built-in effects unit in wide ranging applications. 10 years later Soundcraft has given the FX16 an overhaul bringing it in line with the Soundcraft Professional range using the latest 24-bit, digital Lexicon® effects processor and creating the Soundcraft FX16ii™. 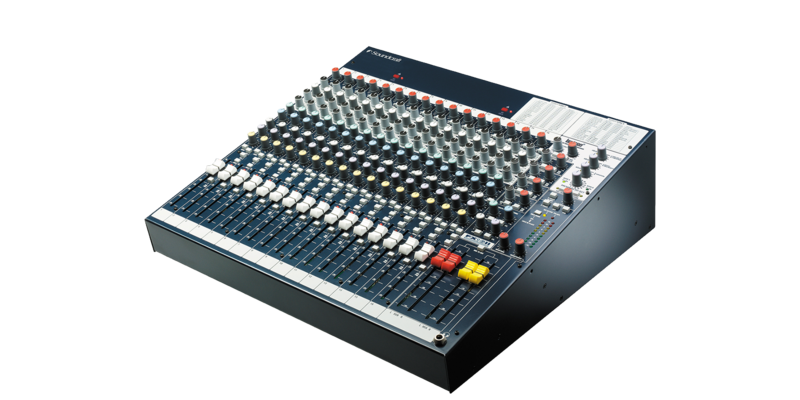 The Soundcraft FX16ii mixer uses the same AudioDNA® processor featured in many of the Digitech® and Lexicon outboard equipment including the highly respected Lexicon MX400 processor. With over 35 years experience, the Lexicon name is synonymous with the best reverb and processing in the business, ensuring the finest quality effects not usually found in a console at this price level. 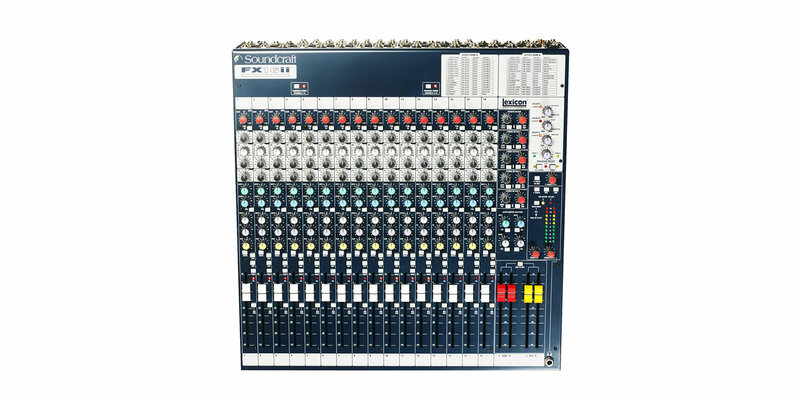 The Soundcraft FX16ii offers a combination of powerful live and recording features; each channel has a Direct Output which is individually switch-able pre or post fader to enable use with 16-track recording systems. The Lexicon effects work just as well in the live as well as the recording environment with a tap tempo function, 3 parameter controls, user effects settings store ability, effects clip LED and 32 powerful and editable effects to choose from. 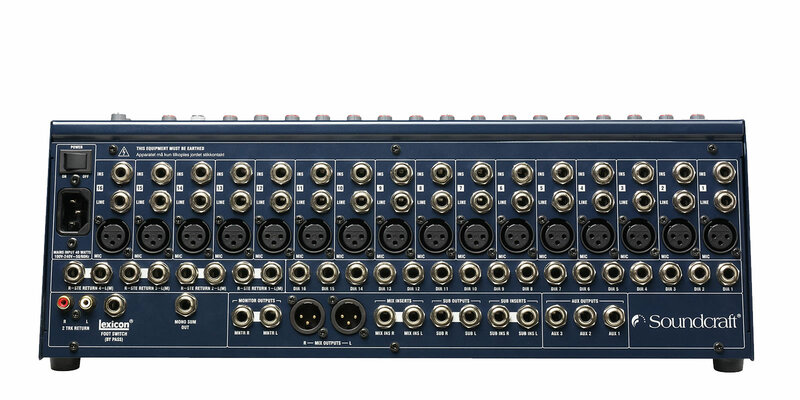 The use of the latest PCB surface mount technology means that the Soundcraft FX16ii fits all of these features into a rugged, compact frame which can be optionally rack-mounted into a 10U space via Soundcraft FX16ii's rotating connector pod which allows cables to be connected conveniently behind the rack and save rack space. Studio Recording: Digital/Analogue Multi-tracking (8 or 16 track), Small/Home Studios, Pre-/Post-Production.